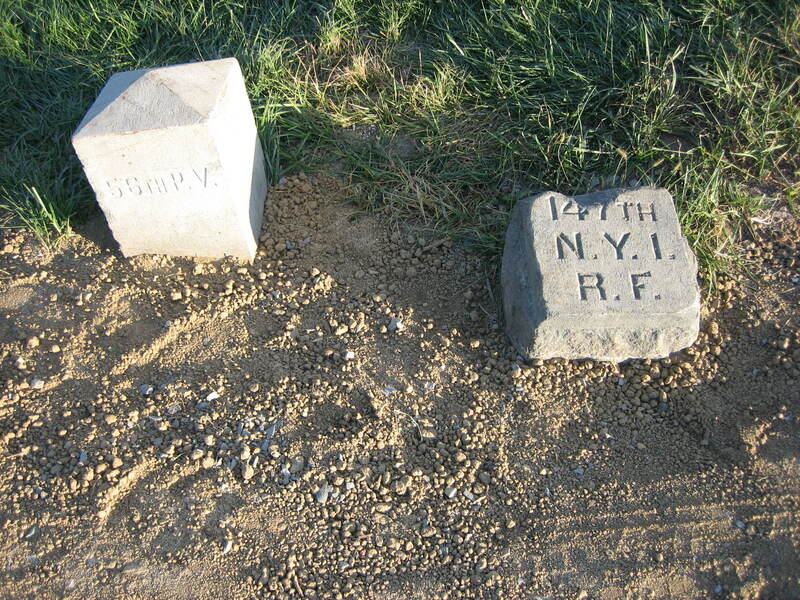 The National Park Service will not move the flank markers a couple of feet farther from Reynolds Avenue. 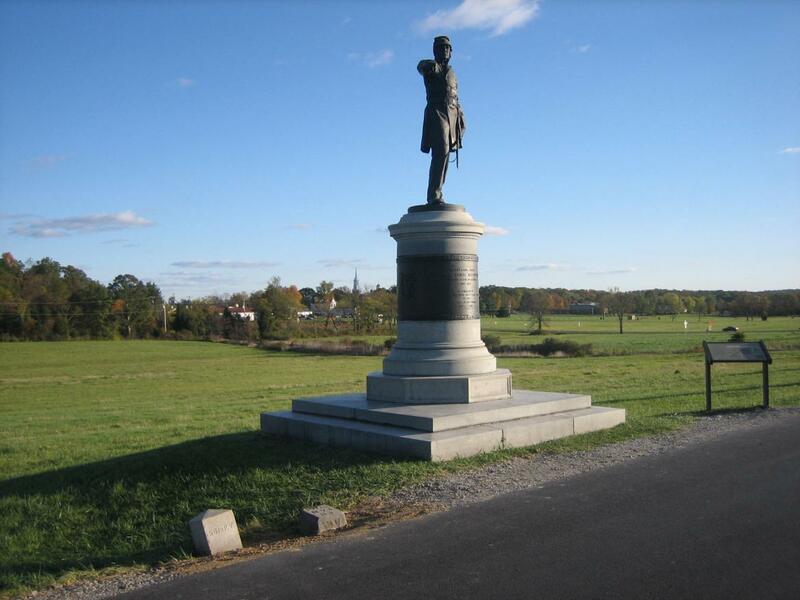 The markers to the 56th Pennsylvania Infantry Regiment (light colored marker) and the 147th New York (gray marker to the right of the 56th Pennsylvania) are left of (north of) the statue to Brigadier-General James Samuel Wadsworth. This view was taken from the northwest facing southeast at approximately 5:00 PM on Wednesday, October 22, 2008. The markers are looking much better than they have in a while. 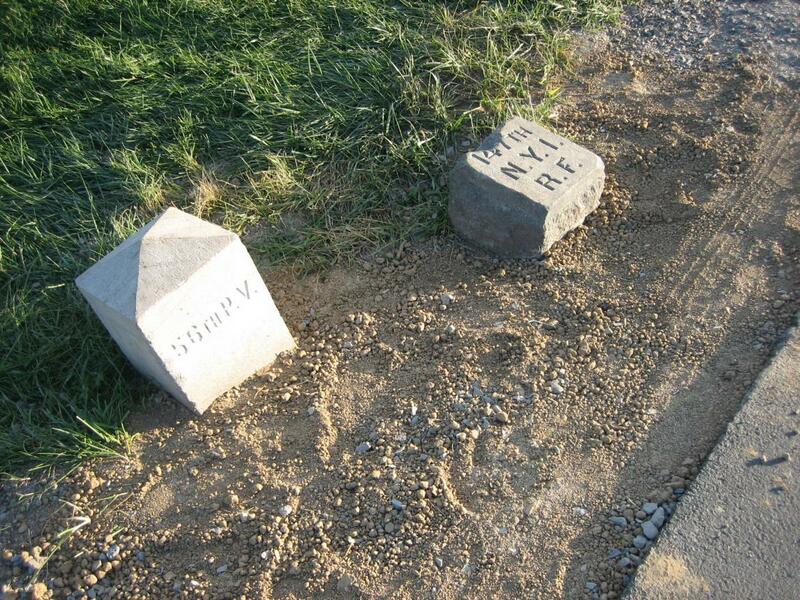 More dirt has been removed from around the markers, it appears someone has brushed them off, and a new layer of brown dirt is around the markers. This view was taken from the west facing east at approximately 5:00 PM on Wednesday, October 22, 2008. 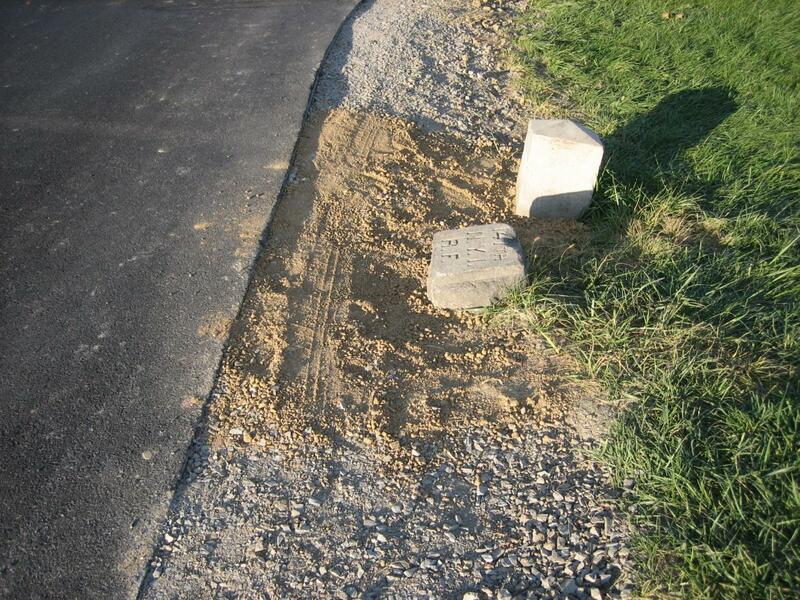 But let’s look at this dirt which has been placed only around these markers on Reynolds Avenue. And we’re not just saying look at the dirt so that you can see the tire tracks of a vehicle which missed the 147th New York by about seven inches. This view was taken from the south facing north at approximately 5:00 PM on Wednesday, October 22, 2008. 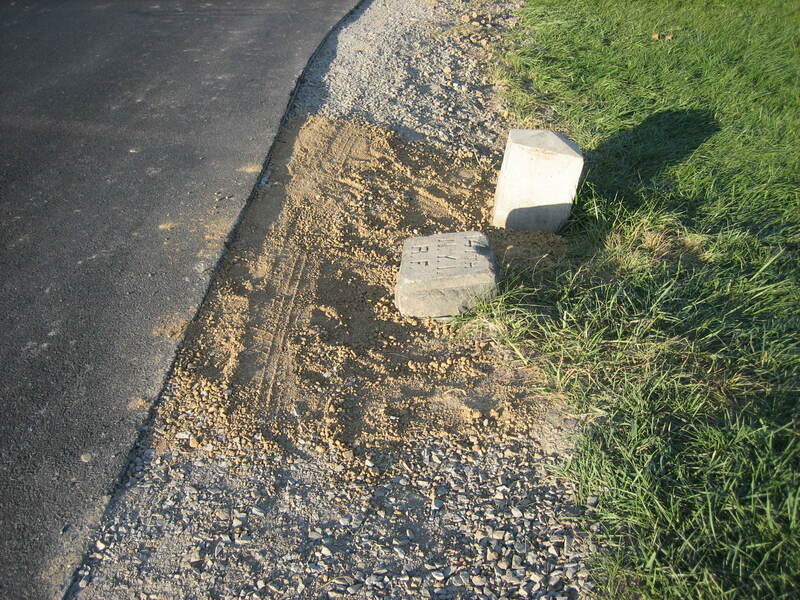 This is the only place on the shoulder of Reynolds Avenue where the dirt was placed. What’s so special about this dirt? This view was taken from the south facing north at approximately 5:00 PM on Wednesday, October 22, 2008. 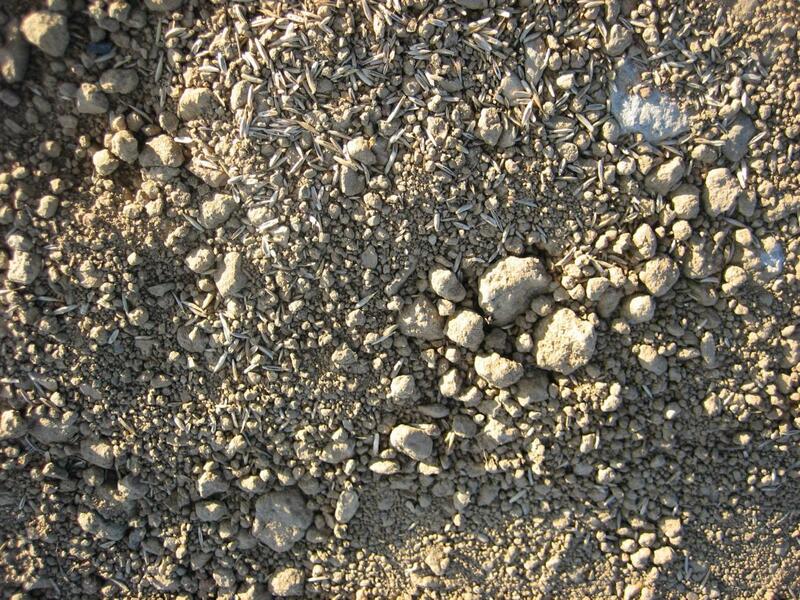 This dirt contains lots of grass seeds. This view was taken from the west facing east at approximately 5:00 PM on Wednesday, October 22, 2008. 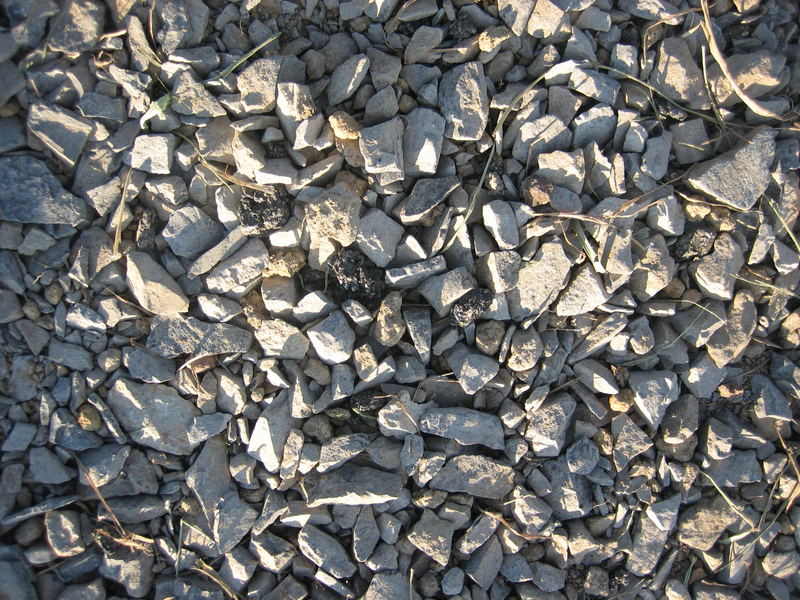 We are probably wrong, but we can see grass on the gravel part of the road shoulder, but no grass seeds. This view was taken from the north facing south at approximately 5:00 PM on Wednesday, October 22, 2008. 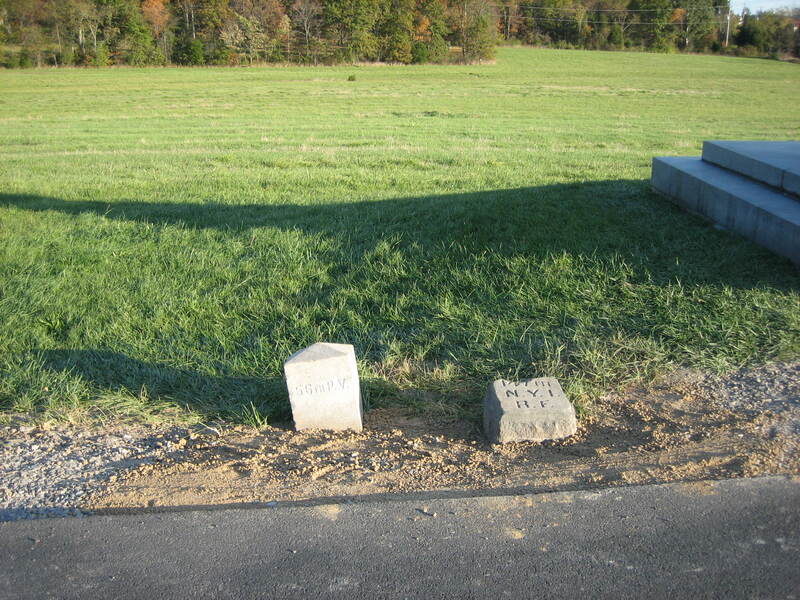 If it’s true that this will be the only grassy area along the road, it appears that the Park Service believes that the grass will make the markers more visible, and that people will avoid parking close to them. We certainly hope that the patch of grass will save them, but we have our doubts. 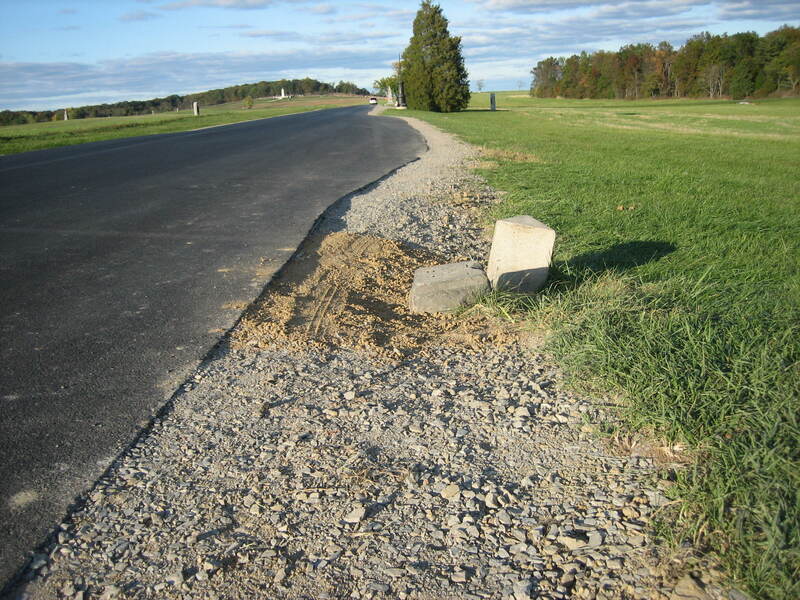 Too often we see visitors parking well off the road because they want to make sure that they are giving traffic enough room to move around them. This view was taken from the southeast facing northwest at approximately 5:00 PM on Wednesday, October 22, 2008. As one of our readers pointed out to us last week, what happens in the winter when snow removing vehicles clear this area? Aren’t these markers in danger of being nicked (or worse) by the blades on the snow plows? This view was taken from the south facing north at approximately 5:00 PM on Wednesday, October 22, 2008. 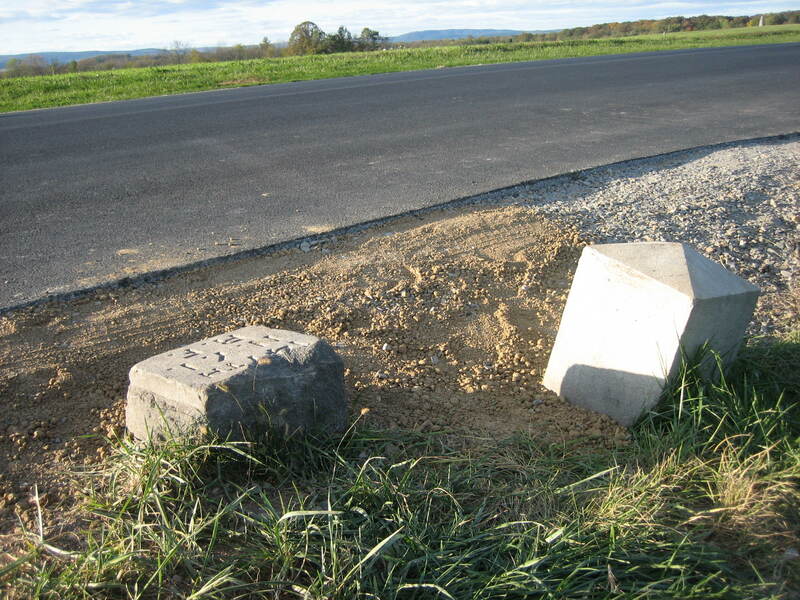 We believe that overall the National Park Service does a great job of “preservation of the historic monuments, respect for the veterans who placed the markers in carefully selected positions on the field at Gettysburg to mark the lines of battle, and allowing for visitor access and understanding.” It’s not an easy job. This view was taken from the northwest facing southeast at approximately 5:00 PM on Wednesday, October 22, 2008. We believe, however, that the best way to strike this balance is to move the markers a few feet away from (east of) Reynolds Avenue. When the veterans placed them here 120 years ago, the road wasn’t this wide, and the vehicles traveling the avenues were mostly carriages pulled by horses. Now, with at least one horseless carriage running over the 147th New York, and daily evidence of other vehicles driving very close to it, we find it difficult to believe that the veterans would find this situation acceptable. This view was taken from the west facing east at approximately 5:00 PM on Wednesday, October 22, 2008.